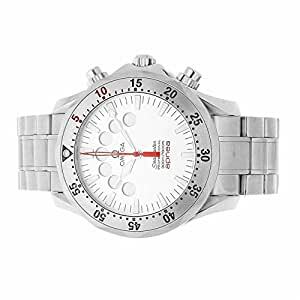 Pre-Owned Omega Seamaster Apnea 300m (25953000) self-winding automatic watch, features a 42mm stainless steel case surrounding a silver dial on a stainless steel bracelet with folding buckle. Functions include hours, minutes and chronograph.Â This watch does not come with box or papers. We back this watch with a 15-month warranty!